The Indian hockey team’s goalie tackles the Proust Questionnaire. 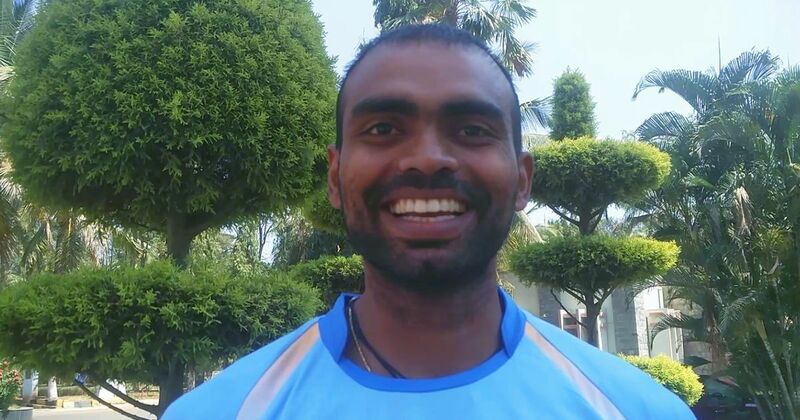 He might be a veteran in the Indian hockey team, but in PR Sreejesh one sees the bubbling, uncontainable demeanour of a little boy. He talks fast, jokes and laughs, greets everyone he sees and a few cheerful hellos greet the group of sports reporters gathered at the Sports Authority of India in Bengaluru for the Indian squad announcement for the Sultan Azlan Shah Cup in Ipoh, Malaysia. Sreejesh, the team’s best goalkeeper isn’t part of the squad because coach Sjoerd Marijne’s opted to test an unseasoned squad at the tournament. Sreejesh, however, is a happy man. He’s just recovered from his knee injury, welcomed his second child – a baby boy – during the injury break, and is now training hard for a series of high-profile tournaments this year: the Commonwealth Games in April, the Asian Games in August and the Hockey World Cup in November. During a break from the training, he jokes with coach Marijne, arranges tea for the journalists gathered (“See, this is what I do when I am not the captain,” he laughs), and even discusses a Malayalam movie with one of the reporters. The exuberant goalie obliged to The Field’s request of answering a few questions from the Proust Questionnaire – a set of questions that provides insight into one’s personality in the form of an interview, coined after French writer Marcel Proust.